If you have been reading my posts for a while now, you know I look forward to my annual Rehoboth Beach trips with family and friends. We’re super lazy. A shopping trip to the outlets is about as much energy as we ever expend. And we like it that way. Frankly I’m saving the learning and cultural exploration for Kenya. My adventure starts this Friday! This year, I had some great food and drink in Rehoboth and nearby Lewes. If you head that way, this summer here are some places I think you should check out. At Agave in Lewes, I enjoyed some big, delicious margaritas and Mexican corn dripping with spicy mayo and queso fresco. There’s a photo of my mother eating it but I’m not allowed to share it. You’ll have to make do with this shot. Agave is extremely popular and doesn’t take reservations, but it’s worth the wait. 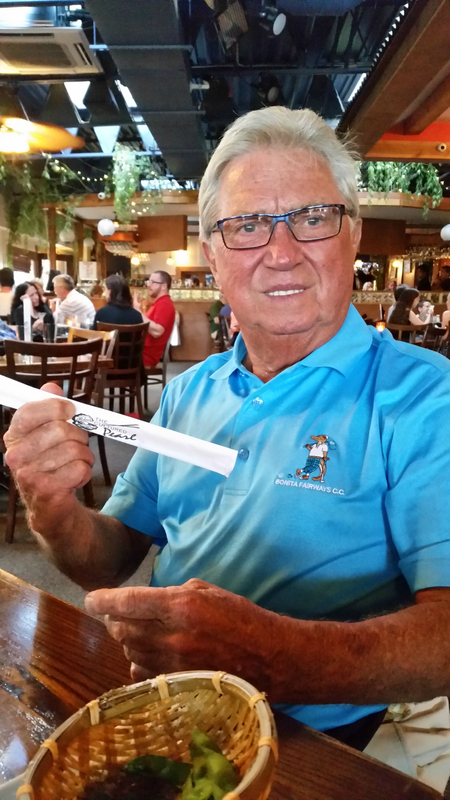 At the Cultured Pearl, I enjoyed a spicy Kazan roll while my father had fun joking around with chopsticks. At (A)muse, the leopard-haired David, who used to mix drinks at the late, great LaLaLand made me a tamarind margarita to go with a salad of mixed grains, greens and a poached egg. The best overall meal I had during my five night DelMarVa trip took place at Salt Air. I started with a cocktail made of blueberry-infused bourbon and lemonade that I very much hope to recreate at home. Then we shared oven-roasted chipotle and Old Bay chicken wings. My entrée of sweet tea-brined pork with maple bacon compound butter was off-the-charts great. 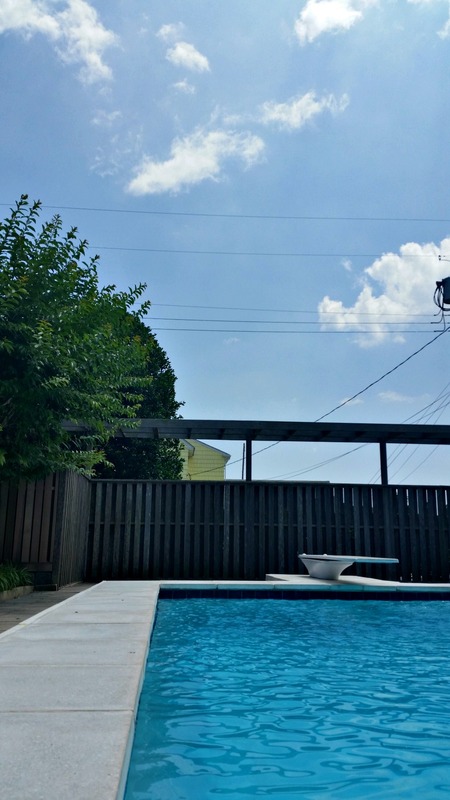 Have you been to Rehoboth and Lewes? If so, where did you eat? Incidentally Hoda Kotb of NBC frequents Rehoboth Beach. In fact, eagle eye @VagabondGirl spotted her walking on the beach with her manfriend. Here’s a roundup of Hoda’s Rehoboth favorites. 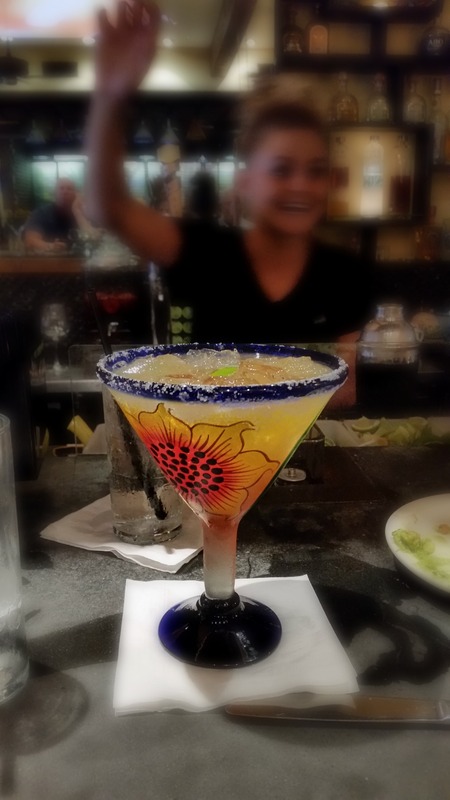 This entry was posted in Life stories, Travel and tagged Agave, Cultured Pearl, Delaware, food, Lewes, Rehoboth Beach, restaurants, Salt Air, sushi on July 7, 2014 by onechicklette. I’ll have to check out your post! No Dogfish Head?! I’m not a fan of the wait, but I always go for a flight and pizza! It’s a bit too loud for my parents. Plus, they don’t like beer. Silly parents.